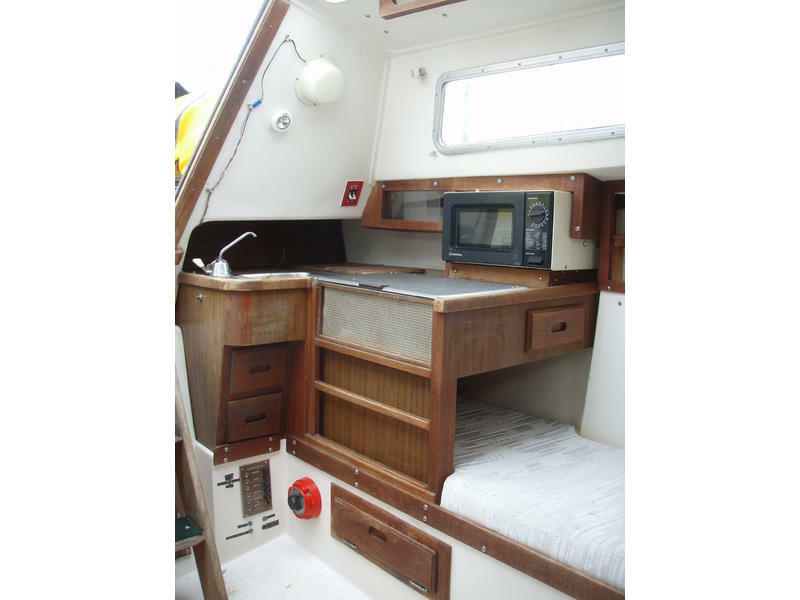 1976 CATALINA 27 FRESHWATER sailboat! 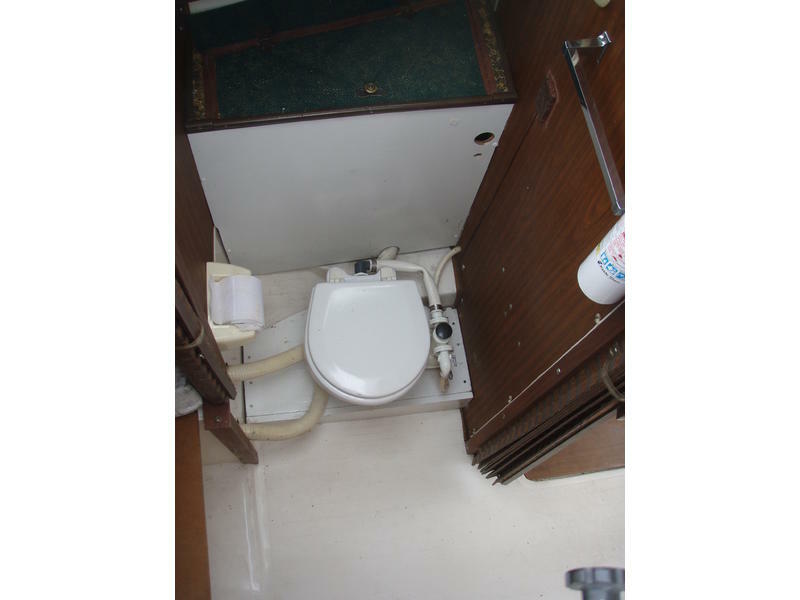 INBOARD DIESEL ENGINE w/ROLLER FURLER! 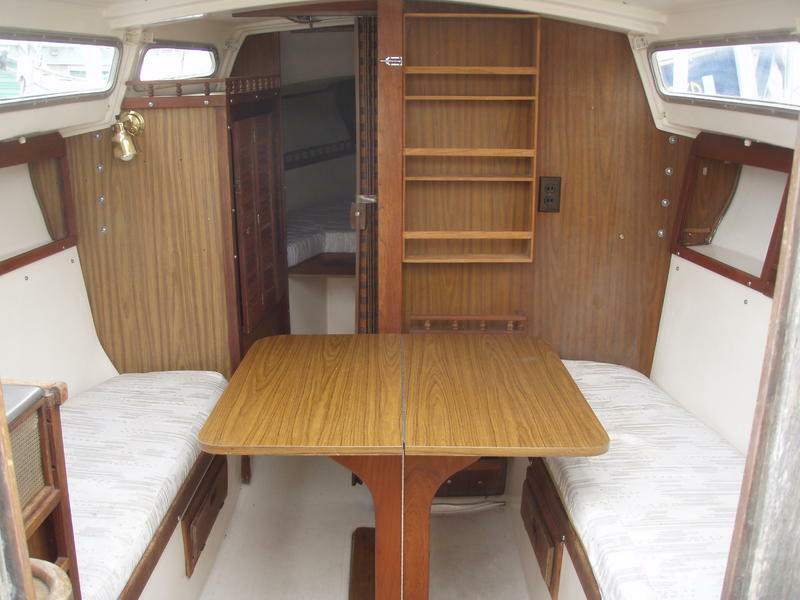 The Catalina 27 is an American classic. 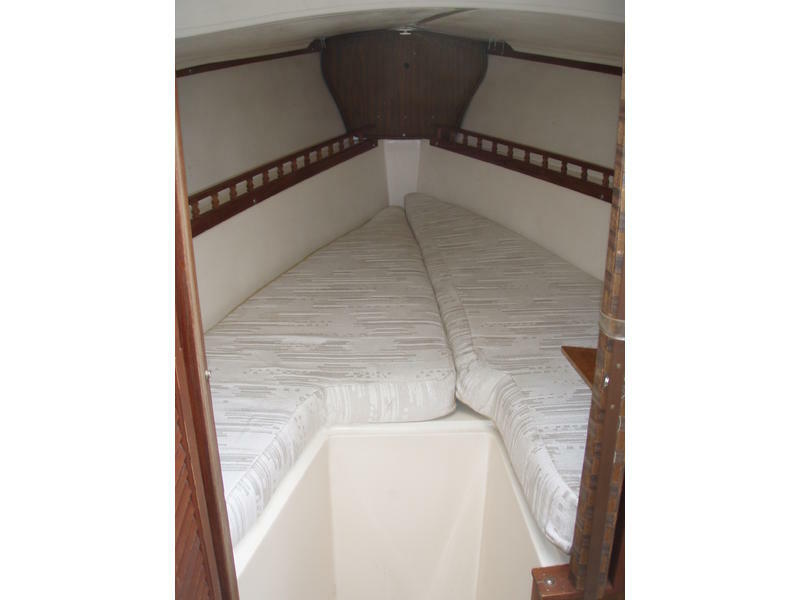 First launched in 1971, more than 6,600 boats were built during a 20-year production run, making it possibly the best-selling 27-footer of all time. Frank Butler, the 27’s co-designer, as well as the founder and driving force behind Catalina Yachts, has a uncanny knack for creating boats that people love. As a result this model has an extremely large and active owners association-a very valuable resource for any boat owner. 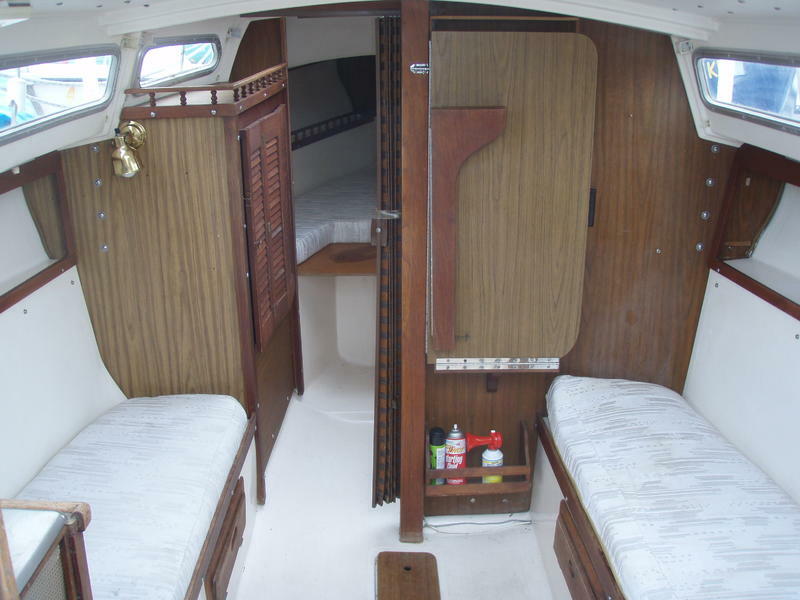 In many ways, the 27 was the model for a design and construc¬tion philosophy that continues to serve Catalina today: It’s a spa¬cious, user-friendly family cruiser. It sleeps five with an impressive 61 headroom and a large cabin hatch that, when opened, opens up half the cabin to the sky. 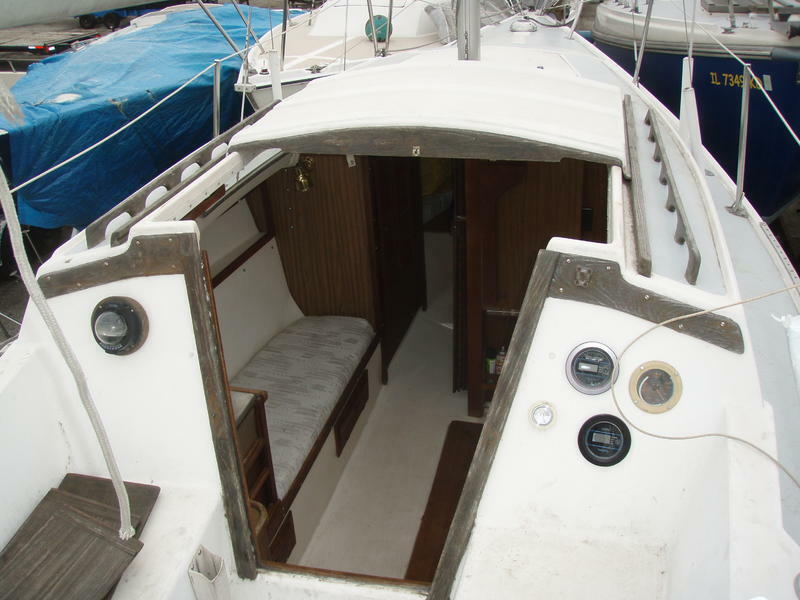 It is an ideal boat for the way most of us use our boats, that is daysailing and week¬end outings and promises many years of enjoyment to come! 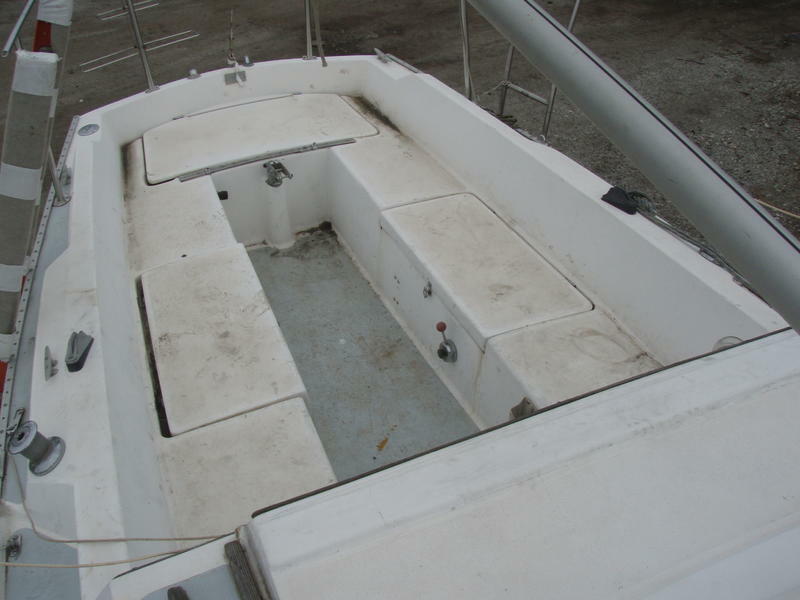 CONDITION: This boat is in very good ready-to-sail condition! A couple cockpit hatch covers need remounting. 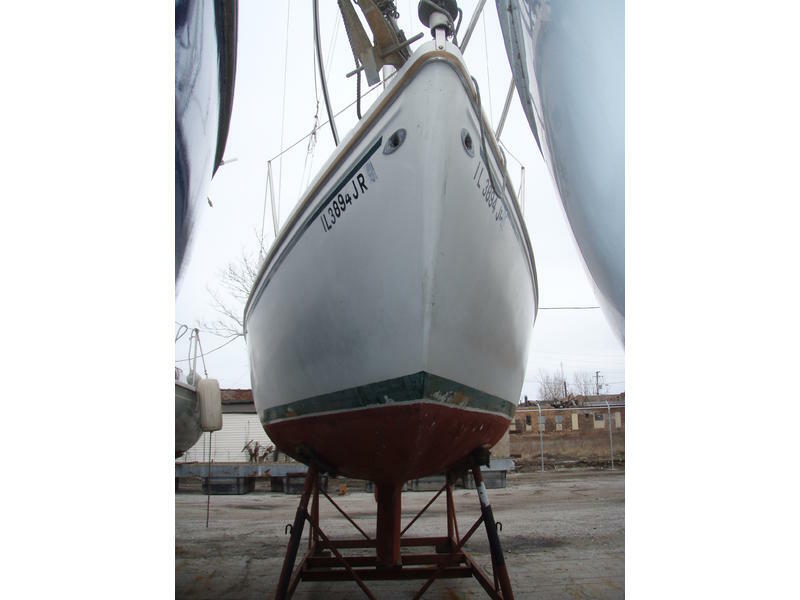 She may be inspected at Crowleys Yacht Yard Lakeside at 3434 East 95th Street, Chicago, IL 60617 by appointment. To arrange an appointment, please contact Nautical Donations. AS IS, WHERE IS. 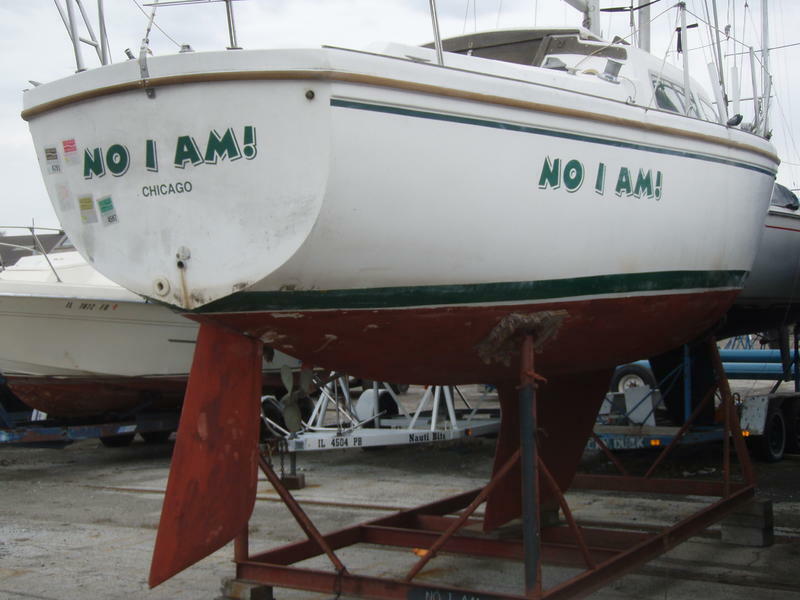 This boat has a clear Illinois title and was donated to Nautical Donations Inc. which is a 501(c)(3) organization. See our website for more information. All information included in this listing is accurate to the best of our knowledge. 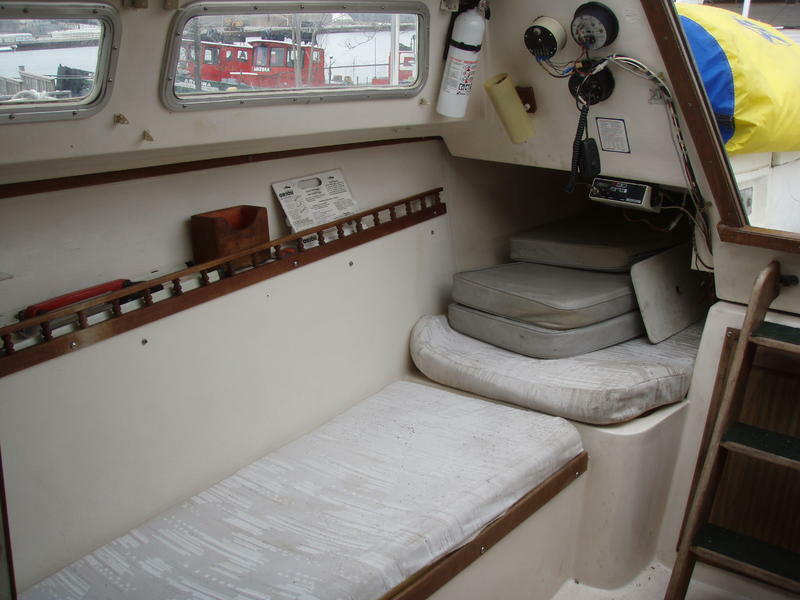 Nautical Donations Inc. will also provide a bill of sale. 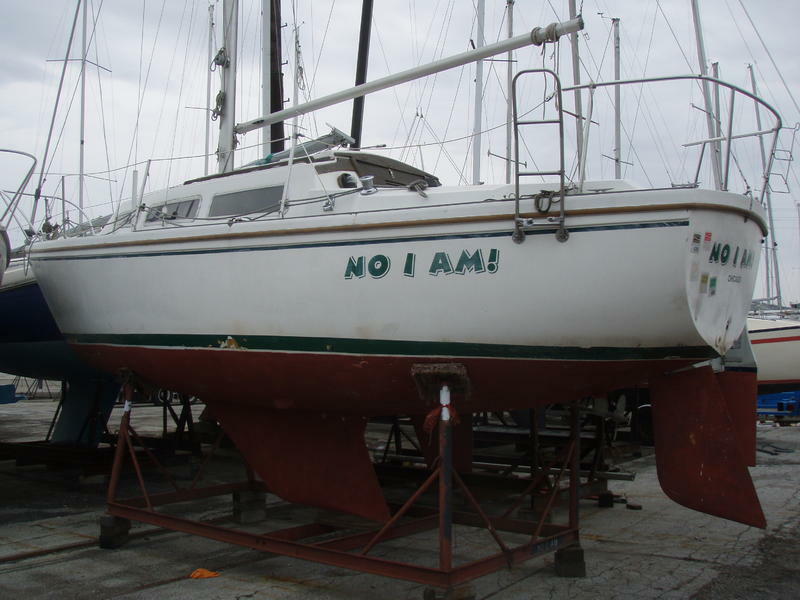 Purchase of this boat is not tax deductible. 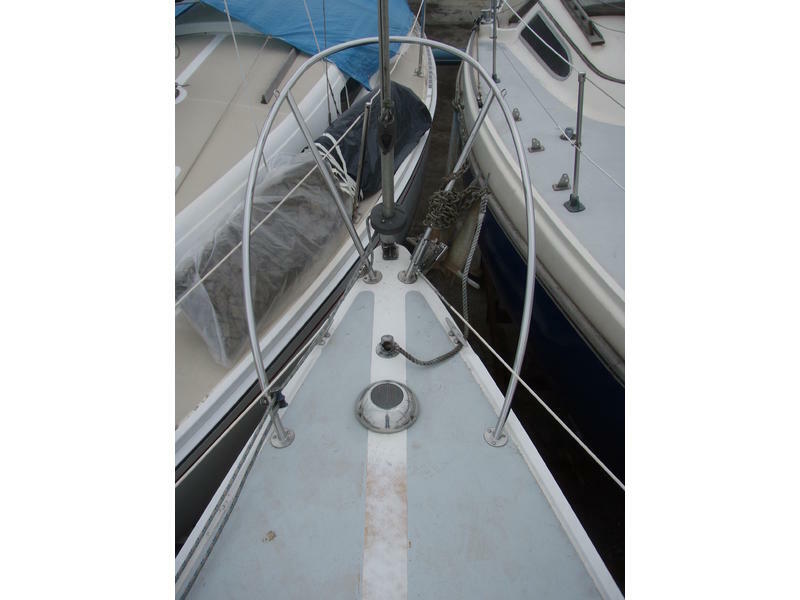 Proceeds of the sale will benefit nautical non-profits in the greater Chicago area. 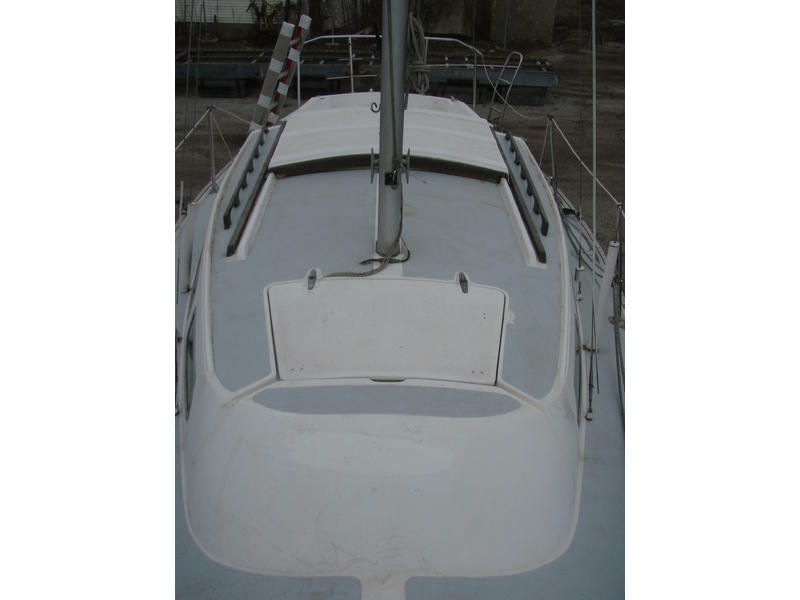 TERMS OF SALE: Buyer must remove the boat from the yard seven days after the completion of the sale or make arrangements with Crowley’s Yacht Yard for storage or launching. Buyer must pay in full before the boat is released. Buyers must pay 7.25% Illinois sales tax. Chicago buyers pay 8.5% sales tax.